Daydream Island Resort offers comprehensive conference facilities all complemented by sparkling bays, secluded beaches, and an array of adventurous activities that combine to stimulate and inspire delegates. Catering for intimate groups right through to major events, Daydream Island is perfect for your meeting, conference and incentive needs. Daydream Island will also be offering the opportunity for the island to be booked for exclusive use, allowing a unique experience for delegates and the ability to activate the entire island. 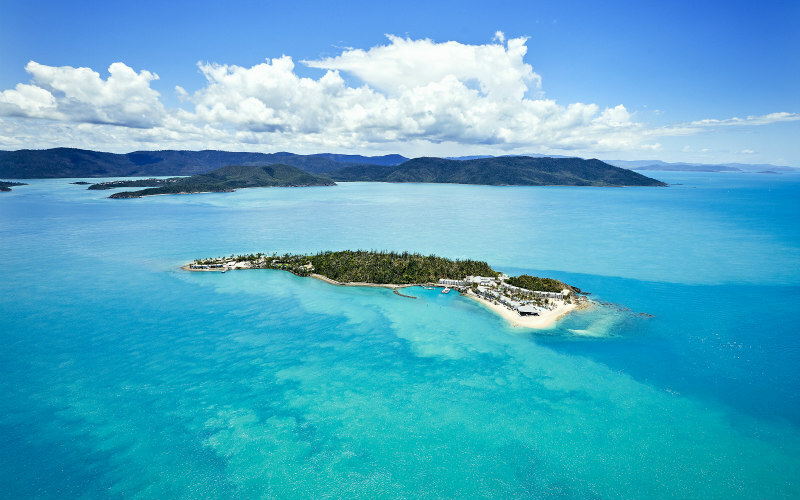 Daydream Island Resort is located in the stunning Whitsunday region on the east coast of Queensland, Australia. The region is situated between Mackay & Townsville, & is approximately 630km south of Cairns & 1,100km north of Brisbane. Two airports service the region with major airlines Virgin, Qantas and Jetsar. Hamilton Island Airport (HTI) is a direct 30 minute boast transfer while Proserpine Airport (PPP) is a 40km road transfer to Port of Airlie, with a 30 minute boat transfer direct to the island. Boat transfers to Daydream Island are provided by Cruise Whitsundays and are scheduled to coincide with arriving and departing flights from both airports. For a unique experience, helicopter arrival or departure to island is also available. With 277 guestrooms over 3 wings, ranging from marina views, rainforest, pool and deluxe ocean views, Daydream offers 167 king rooms, 102 twin rooms (queen queen) and 8 suites. Our main room type features sliding doors opening directly to balconies of varying sizes. Deluxe rooms face directly towards the Whitsunday Islands on the east side of the island and each feature a large terrace area. Our suites offer a premium view surrounded by luxurious comfort, each containing a king bed, sitting area and generous balcony. Daydream Island Resort's event spaces will cater major events, yet still provide a personal touch. Special events from cocktail parties to gala dinners can be catered for across a large range of indoor and outdoor event locations. The refurbishment will see 3 new restaurants each with its own culinary offering, making the most of local ingredients. Graze Interactive Dining is a modern interactive buffet restaurant. Infinity provides Asian fusion flare where guests can enjoy everything from fresh sashimi to Korean hot pot or Japanese gyoza. Signature restaurant Inkstone Kitchen & Bar will serve modern Australian cuisine with flamboyant techniques. The island will offer a revitalised pool landscape allowing guests to swim and enjoy unparalled views across the Whitsunday’s Great Barrier Reef. The swimming hub will be complemented by a poolside bar inclusive of a new burger concept. All guests of Daydream Island have access to a range of free activities and attractions with something for everybody. From fish feeding and stand up paddle boarding to rainforest walks and outdoor fitness classes. The stunning Great Barrier Reef and Whitehaven Beach are easily accessible via a range of tour experiences, with many available for exclusive use. All themeing needs are assisted with expert advice from our local AV suppliers who can provide state of the art technical support to customise your event experience. Daydream Island's Living Reef is a free form coral lagoon that wraps 200m around the central building and holds over 1.5 million litres of water. Guests will be able to join the team of marine biologists who live on the island and feed baby stingrays who live amongst over 100 species of marine fish, coral and invertebrates such as star fish, sea cucumbers and crabs. The new Underwater Observatory provides guests the opportunity to experience the varied marine life up close. For an intimate and unique dining experience, this space provides a stunning "under the sea" feel to an event, catering for up to 30 guests. 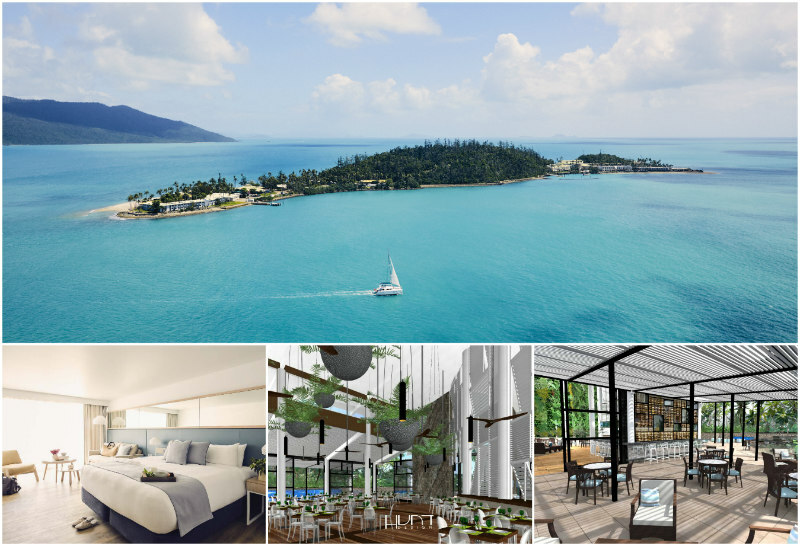 Australia’s most loved island resort, Daydream Island will welcome guests from 10th April 2019, unveiling the new look, premium resort secluded in the heart of the Whitsundays. 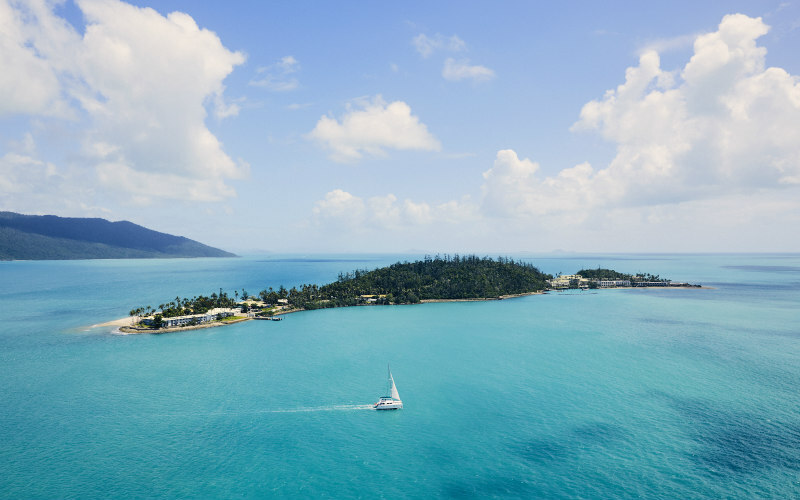 Australia’s most loved island resort, Daydream Island will officially soft launch on 10th April, 2019 and has today revealed the brand’s new look ahead of its highly anticipated reopening. Australians will soon have a new holiday destination to add to their bucket list with the reopening of Daydream Island Resort in late 2018. Following an extensive $100 million redevelopment, the new premium resort will become a tropical haven for romantics, families and groups.